Avoid the worst in DIY disaster on your wedding day by finding out the things you shouldn't do yourself! The DIY route is a great idea for brides who want to add a personal touch or save money for their wedding. But there are some things that should definitely be left to the professionals. Working out what you should and shouldn’t DIY for your wedding comes with one simple rule: if you can do it beforehand at home then go for it. For instance, your favours can be made months in advance. But if it’s something that has to be done on the day such as photography or catering, we recommend you don’t attempt these tasks yourself. Here are five important things you shouldn’t DIY for your wedding. You’ve been planning your wedding day for months. You’ve organised every detail and imagined exactly how your day will go with the help of your trusted family and friends. But no matter how organised you are, there’s always a possibility of things going wrong. By hiring a professional to coordinate the day, you will reduce the chances of your event being disorganised and hectic. Any little hiccups will be resolved without you having to lift a finger! 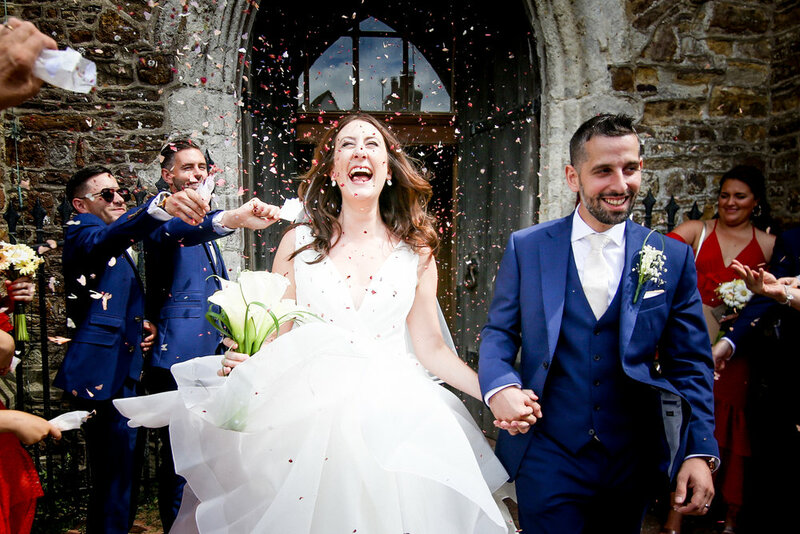 As part of The Kent Wedding Family we have the amazing Caro Events who is an expert wedding planner & coordinator, she will ensure your day runs smoothly and your wedding day will be exactly how you imagined. You may be a dab hand on the sewing machine, but unless you’re a professional, don’t attempt to make any alterations to your dress or your bridesmaids. If the result is permanent it’ll completely ruin your dress. At The Kent Wedding Centre we offer a tailoring service, use it and you’ll have no regrets. Our professional team will be able to make your dress look and feel like it was made for you. Our bridal department has a huge selection of wedding dresses to view and we can guide you through the whole process, from selection to fitting & altering to cleaning. Meaning you needn’t run around to different locations to get the perfect wedding dress! The same goes for your bridesmaids and grooms too, get a professional to find and fit the perfect outfit for them, rather than rely on the high-street! We all know someone with a professional camera, a popular Instagram feed and an eye for detail. But when it comes to your big day, you’re only going to have one chance to capture those special moments. 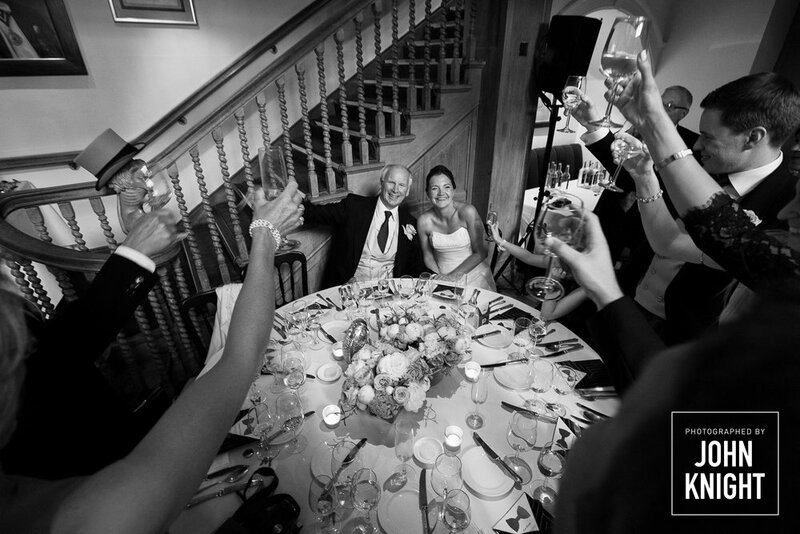 Hiring a professional wedding photographer who understands lighting, timing and angles, will make sure your wedding photos will flow with the emotions and moments you will treasure for a lifetime. Alongside this you should also consider a wedding film - your friends will surely take Instagram videos and make Facebook live streams on the day but there is something very special about a professional wedding video. We have a good selection of photographers & videographers at The Kent Wedding Centre and you can find them on our services page. The food is something we all expect to be the most delicious part of the whole day. And even though your mum may make a mean roast, when it comes to feeing a whole lot of people, your catering is best left to the professionals. Catering to a large group requires skill, knowledge and most importantly, the right equipment. The professional caterers at Pomegranate Catering will be able to put together a menu that is perfect for the two of you & give your guests something to remember. Alongside the main meal you also have the wedding cake, something else we would only recommend a pro taking on. At the centre we are privileged to have two expert cake designers and makers with us, Iced Images and Glorious & Good - both of whom we are constantly amazed by! If you want to add that extra little something to your reception you should check out The Pretty Little Tea Company, they have just joined us and they offer a unique mobile catering service specialising in vintage afternoon tea and Prosecco! Have a band or a DJ and tell them exactly what you want and the atmosphere you want to create. But don’t leave the all your music up to your trusty iPod or even a friend. A friend might say they’ll sort the music but get side tracked and in any case they’re almost certain to want to socialise themselves. The same goes for those little touches of entertainment that you may want at the reception, uncle Tony may be pretty good at card tricks but don’t hire him to entertain your guests - let him enjoy the day and take the pressure off relying on friends and family. At the Kent Wedding Centre we have a fantastic range of entertainment options from close-up magic and caricatures to photo-booths - check them out on our services page! At The Kent Wedding Centre we really are a ‘one stop shop’ for everything you may need or want on your wedding day so don’t leave anything to chance and visit us today!